Can the New England Patriots make it back to the Super Bowl for a chance at their fifth Vince Lombardi trophy in 2016? Will Tom Brady really sit out the first four games of the season, or will his appeal successfully overturn his suspension? Will we ever hear the end of Deflategate? Time will tell, but... if you've been wearing your "They Hate Us Cuz They Ain't Us" T-shirt, you know who Malcolm Butler is, and you can hardly wait for the 2016-2017 NFL season to begin, here's something you should know. 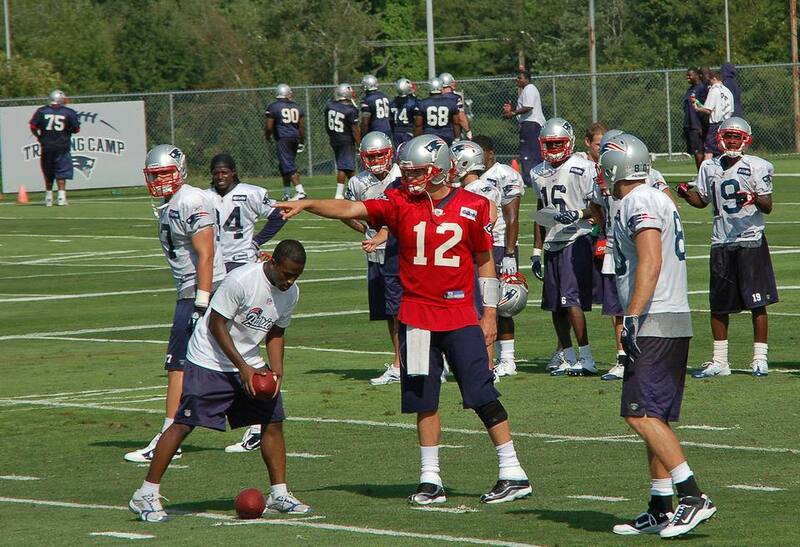 The New England Patriots Training Camp 2016 opens July 28, and you can get in on the experience! The Patriots train for the upcoming football season at Gillette Stadium in Foxborough, Massachusetts, and Patriots fans are invited to visit the Patriots Fan Zone and to watch the team practice. Admission to training camp is free. Parking is free. And you'll get an up-close look at the action, as the team gets in shape for the start of the season. What is the Patriots Fan Zone? It's a free, interactive football theme park that is open to the public during Training Camp, which runs through mid-August. The schedule is taking shape and will be posted on the training camp Web site as dates and times are confirmed. Football fans of all ages will enjoy the interactive football games; chances to test their passing, kicking, blocking and other football skills; plus autograph sessions, Patriots cheerleader and alumni appearances and more fun surprises. Plan to get to Gillette Stadium early in the day. You can watch your favorite team members in action during one or two scheduled practices each day during training camp. Check the Patriots Web site for daily training camp details, or call the Training Camp Hotline at 508-549-0001 for the current day's schedule before you leave home. The Patriots will hold joint practices with the New Orleans Saints on August 9 and 10 and with the Chicago Bears on August 15 and 16. The on-site Patriots ProShop is open on all days that Training Camp is in session so that you can search for great gifts and souvenirs including Super Bowl championship merchandise. Don't miss... the Hall at Patriot Place while you're at Gillette Stadium. This attraction is so much more than a hall of fame for legendary Patriots players. Interactive and multimedia exhibits allow fans to relive great moments in Patriots history and experience what it's like to be a player or coach. Plus... you can see four Vince Lombardi trophies. If you're planning to travel to Gillette Stadium, you'll find directions online at the venue's Web site. Parking is free. There are plenty of hotels near Gillette Stadium if you plan to stay for more than a day. Looking for more information on New England's team? The team's official Internet home has the regular and pre-season schedules, news and more. You can follow the Patriots on Twitter for the latest scoop on players and events. Also check out Patriots Football Weekly online for news and commentary. And, if you can't get to the ProShop at training camp, order your New England Patriots official team merchandise at the online ProShop. Start your search for fun things to do in New England at the New England Travel home page, where you'll find the latest New England travel stories, tips and ideas.